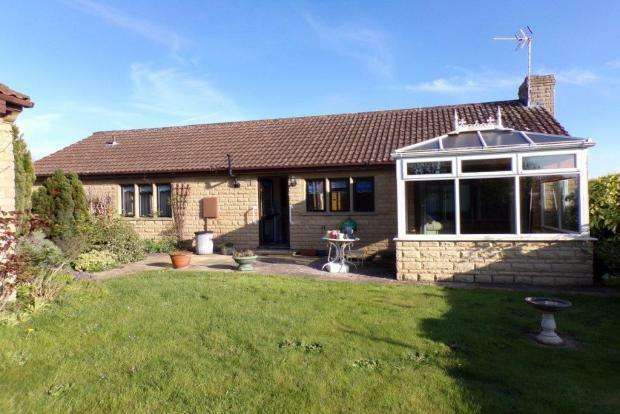 3 Bedroom Detached Bungalow To Rent in South Petherton for £975 per Calendar Month. Situated in a convenient location within South Petherton is this 3 bedroom detached bungalow. The property is based within easy reach of local amenities including the Town Centre and boasts gas central heating, double glazing, en suite to master bedroom, rear enclosed garden, driveway and double garage! The property briefly comprises of a spacious lounge with access to the conservatory extension, contemporary kitchen with space for dining area, 3 bedrooms (2x doubles and 1x single) and a bathroom with shower over bath. The property is offered unfurnished and also boasts an enclosed rear garden which is laid mainly with lawn, as well as a detached double garage and driveway parking to the side of the property.